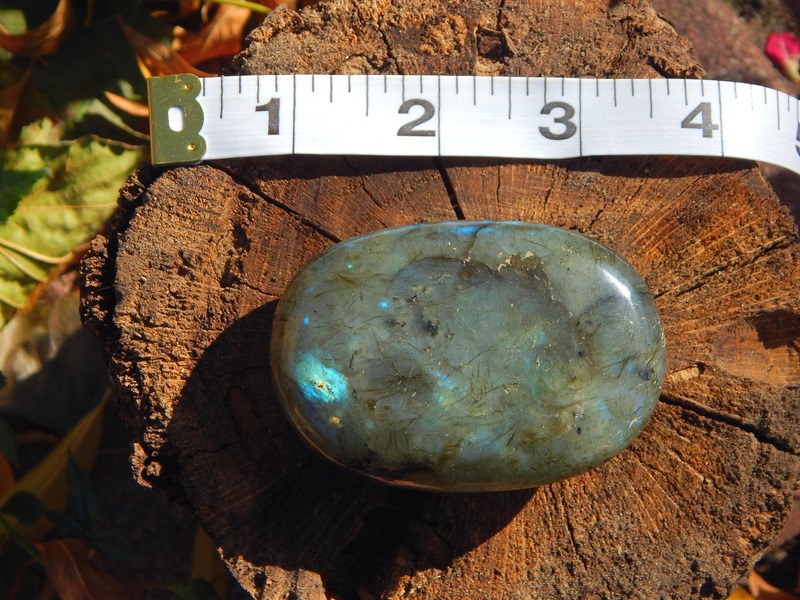 A lovely, sizable polished labradorite palm stone with intriguing pops and flashes of gold, blue and rainbow colors. 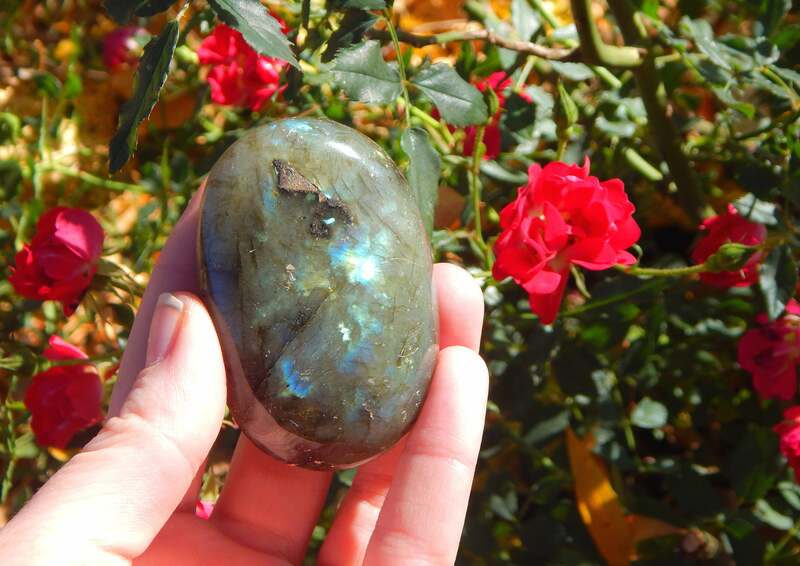 Labradorite is a favorite stone among lightworkers and crystal reiki practitioners, providing soothing, protective energy and engaging the third eye chakra during meditation. 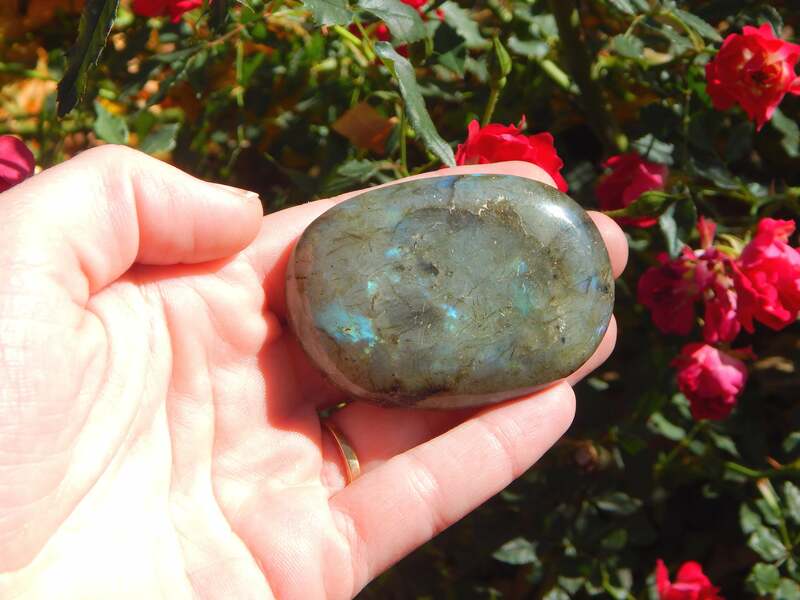 Labradorite is a beautiful gemstone with powerful metaphysical properties. It is said to cleanse, sheild and protect the aura from degeneration and drain. It is used in reiki practice to heighten the psychic senses and repel psychic attacks, as well as providing a vital and resistant auric field. 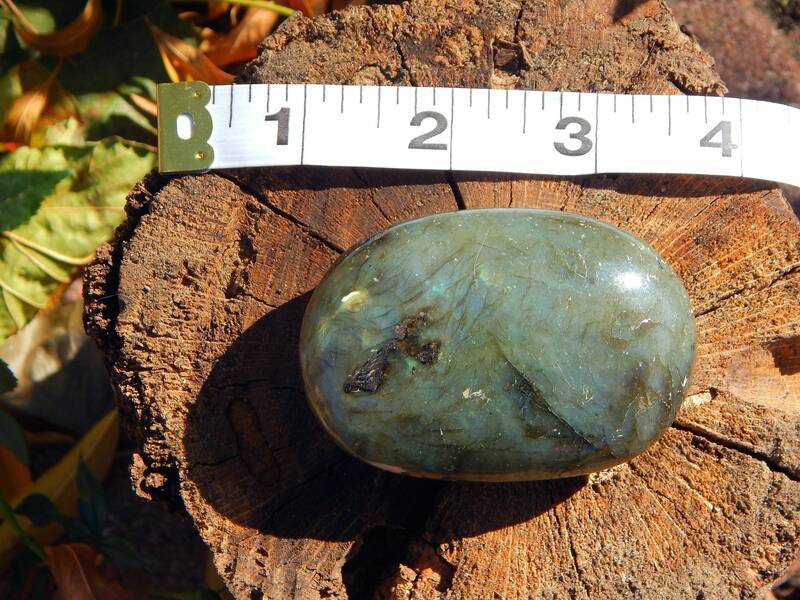 I strongly encourage researching the metaphysical associations of this beautiful stone.